Gisela Díaz, Hajime Fujita, Lorenzo Martinelli, Claudia Mel, Igor Vasconcelos. 1. Overcoming Tourism, Hakim Bey. 2. World Charter for Migrants. Various Authors. 3. Marroquíes en Portugal: Imaginación y Poder en la Migración Trasnacional, Rita Gomes Faria. 4. Derecho de Fuga. 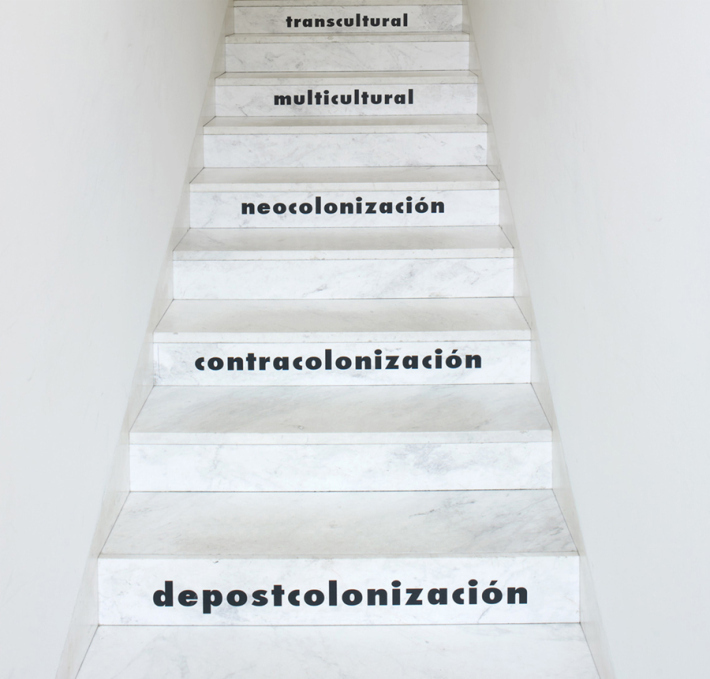 Migraciones, Ciudadanía y Globalización, Sandro Mezzadra. 5. MOVIE: Takhté Siah (Blackboards), Samira Makhmalbaf. 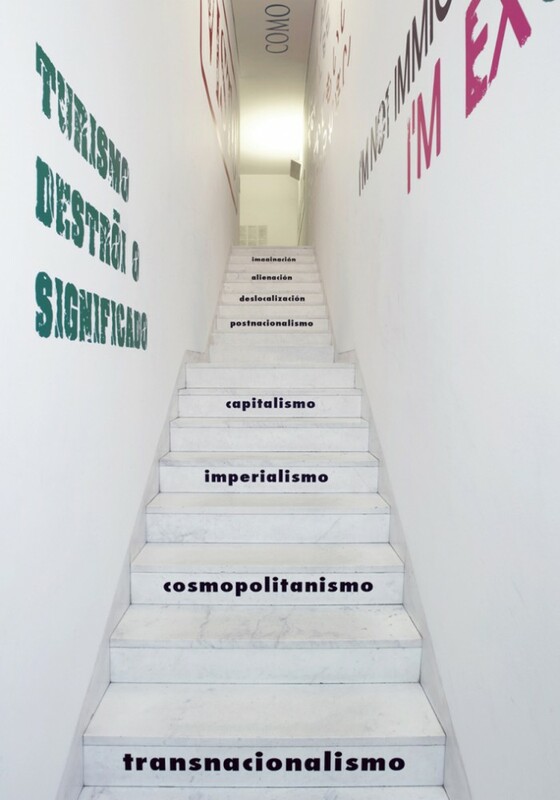 The staircase intervention represents different stages of a journey, one that trespasses the limits of authorship and questions notions of identity through mechanisms of collective discourse.